Hi all, we did our best to make our little app even better. So I present to you the first Wee Rockets update. More rockets! We launched with a set of 4 rockets and 4×4 different rocket pieces. 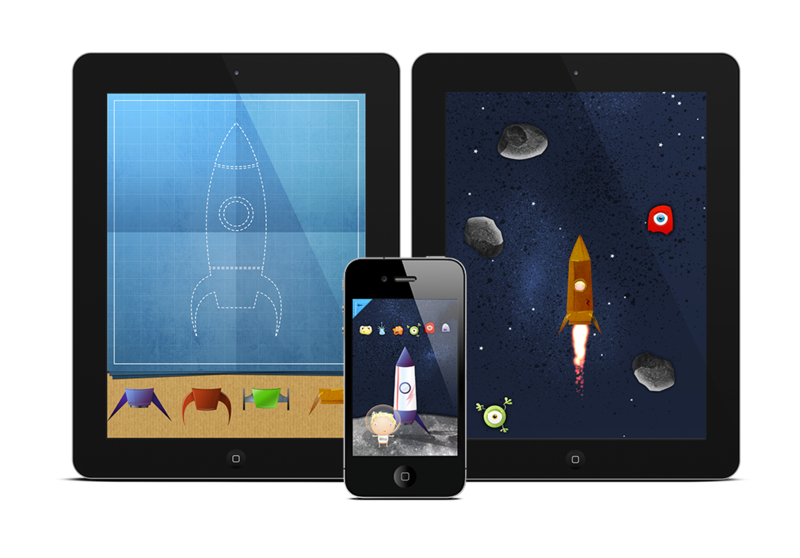 We doubled the rockets so it’s now twice as much fun to play and create your favorite rockets. Also there is something extra for the little girls playing our game. Cute new astronauts! Yes, there is one more little blonde boy astronaut, so now both my sons have their character in the game. How cool is that, being able to launch yourself into space on the iPad. Besides that we added some more ‘wild’ astronauts to the game. They are not human, so you’ll have to play the game to check them out. iPhone and iPod support: we made the app universal so now you can also install the app on your iPhone or iPod Touch. We waited for this until version 1.1 because we wanted to get the iPad app out as soon as possible. So if you have bought the iPad app, you now get the iPhone version for free. We got some feedback on small issues, so they are fixed too in this version. The price will be lowered for a limited amount of time to 0,79€. What are you waiting for, download it now in the App Store!